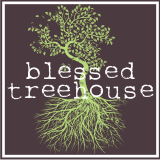 Use the invitation code "treehouse" and you'll receive a few extra points when you register! Wow! We are so thankful for the awesome support! If anyone wants to sign up for Zwaggle, visit www.zwaggle.com/members/join/treehouse. By using the "treehouse" invititation code, you get 5 extra bonus zoints, meaning you get 30 zoints just for signing up! Plus, you give Ali some bonus zoints so that she can get that carseat she needs! Thanks, Ali! And don't be silly, you look beautiful! If anyone has questions about Zwaggle.com, feel free to email me at ally@zwaggle.com, or visit Zwaggle.com!